The early take on the big holiday shopping weekend: Thanksgiving is making Black Friday a little less crazy, and your tablet and smartphone are becoming checkout counters. Overall brick-and-mortar store sales for Thursday and Friday rose 2.3% from last year, to $12.3 billion, according to a report released Saturday by ShopperTrak, a retail industry research firm. But the earlier opening of stores on Thanksgiving cut into sales on Black Friday itself, which were down 13.2% from 2012. "The Black Friday shopping experience is changing, with more shoppers choosing to go out on Thanksgiving Day," says Bill Martin, ShopperTrak founder, in a statement. Sales were higher in all regions of the nation except the Northeast, according to the firm. The Northeast dealt with a storm on Wednesday, and the cold and windy aftermath the two days afterward. While sales in stores edged up, online sales rose -- particularly on mobile devices. IBM's survey of 800 retail websites showed sales on mobile devices grew by more than 40% from Black Friday last year, accounting for more than one in five online sales transactions Friday and more than one in four on Thanksgiving Day. While more people browse at merchandise on their smartphones, the report shows they're more likely to touch "checkout" on their tablets. Tablet sales accounted for more than 14% of online sales on Black Friday, about twice the sales of smartphones. Tablet users also spend nearly $133 per order, 15% more than smartphone shoppers. IBM says year-over-year total online sales grew 19.7% on Thanksgiving Day and nearly 19% on Black Friday. 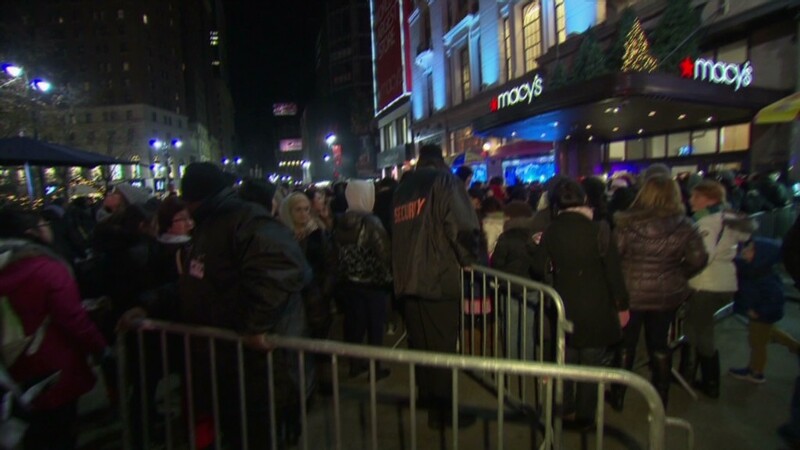 More reports on holiday weekend sales are expected in coming days. Retail analysts are expecting lackluster holiday sales. Although the stock market is at record highs and gas prices have fallen, concern about the 2014 economy and the specter of another government fiscal crisis early in the year has "dampened confidence on the cusp of holiday shopping," Morgan Stanley analysts said.